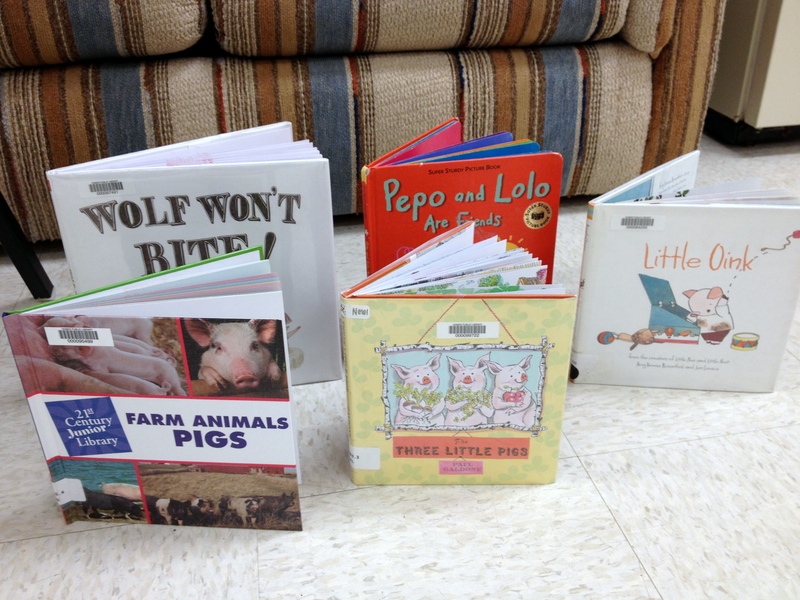 Once kids were settled, we talked about real pigs, both domesticated and wild, thanks to Tulip, the pig puppet, and the book Farm Animals Pigs, part of a series for younger readers that includes books about llamas, goats etc. It is a very approachable nonfiction title that helped us discover the names of mama pigs (sows), piglets, and daddy pigs (boars), fun facts about pig behavior and anatomy, and most importantly, why they like mud. In every group of kids, at least one or two asked me to read the whole book, so it’s highly recommended! After our discussion I taught them the action rhyme To Market, To Market from SurLaLune giving everyone a chance to move around before we settled into some stories. I found the best way to teach this one to a group who hasn’t heard the rhyme before is to go through the whole thing once, emphasizing the rhyming words and accompanying actions (clapping and hopping), and then repeat it slowly with the kids. If they are willing a quicker version may be in order! And then it was time for stories. To be honest, this story time was really about The Three Little Pigs, not just pigs. It’s a good story for both kids and parents, who will find it easy to retell by memory because of its sequence and malleability, if that can be applied to stories. I read aloud Paul Galdone’s version, one of many classic tales he retold and illustrated before his death in 1986. This version includes the death of two pigs and the wolf, but the details aren’t gory. I picked Galdone’s traditional retelling over the many modern variations because I have found preschool age kids don’t really get books like Emily Gravett’s Wolf Won’t Bite! (which I read afterwards in a couple of story times), Jon Scieszka’s The True Story of the 3 Little Pigs, David Wiesner’s The Three Pigs, or even The Three Little Javelinas without a good understanding of the original. 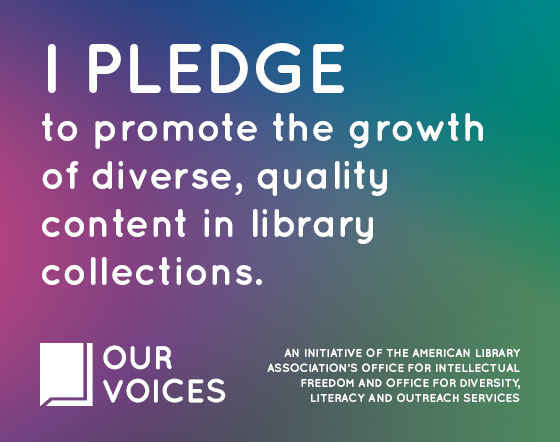 After this week, story time kids will appreciate these great stories! Tulip, a farm pig (sow), had five piglets and lived in a barn. These piglets were acting wild, but not feral. These pigs ran around and made a huge mess so Tulip sent them out into the barnyard while she cleaned up the pen. The piglets went outside and wondered what to do. The first piglet decided to go find his friends at the market, the second piglet (piggie) thought it wasn’t safe to go without Mama, so he stayed home. 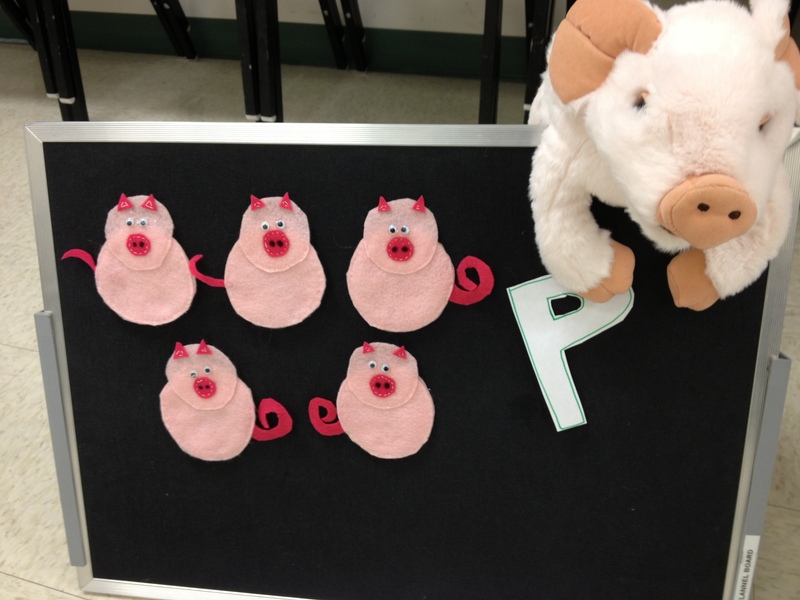 The third piglet was hungry and needed a snack so she ate some roast beef, while the fourth piglet had none. The fifth piglet got scared outside and wanted his mama, so he ran, wee wee wee, all the way home. We repeated the story with our fingers (using the traditional rhyme). This went well in most of the story times since parents quickly caught on to what I was doing and the kids were entranced by the lovely and soft Tulip and the felt piglets. With the kindergarteners, who speak English as a second language, this story wasn’t familiar, but they loved the pigs anyway! In each story time I read one of the other pictured pig books. I tried reading a couple of different pig books, Olivia and the Fairy Princesses and Pig in a Barrow, in the first story time of the week, but they were not hits so I traded them in. I’ve decided that Ian Falconer’s Olivia books are great for reading with one or two children, but they don’t work for me during story time. If you’ve had better success, let me know! 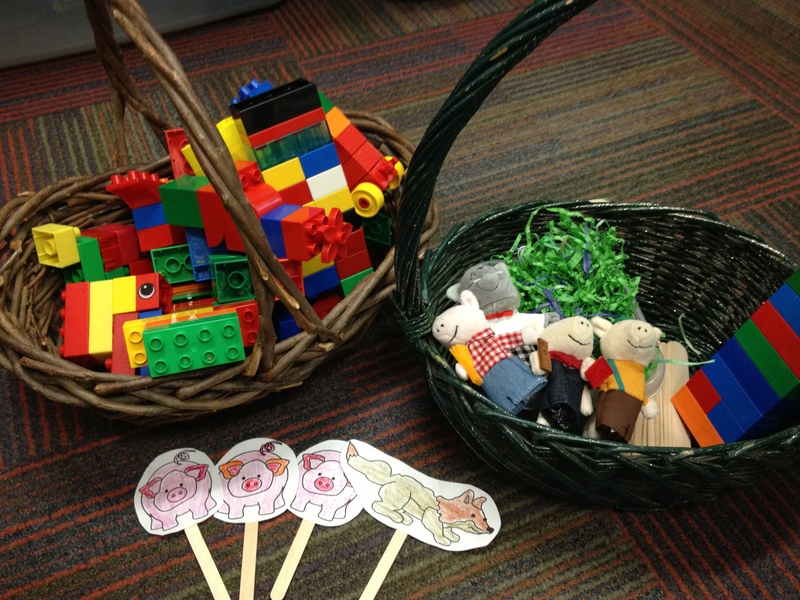 After the books, I brought out The Three Little Pigs story basket, an idea I got from Sun Hats & Wellie Boots. What fun! 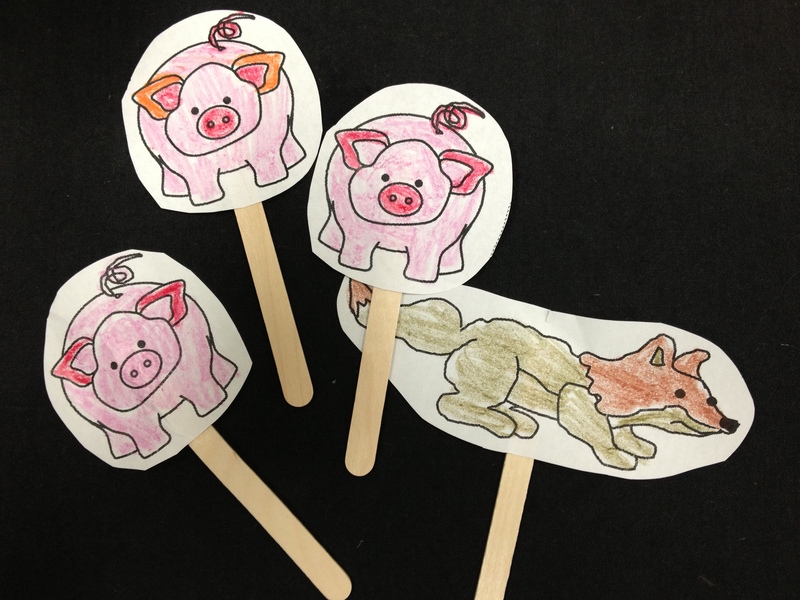 We retold the story using rafia, large Popsicle sticks, Legos, for the three different houses and a set of Three Little Pigs finger puppets. After we worked on it together, and added different endings or events, I gave kids the chance to continue playing with the basket, make paper puppets to take home, or play with Legos. When I pulled out Legos for the basket, I couldn’t pass up the opportunity to let kids use the rest of my stash! The puppet templates came from Making Learning Fun. The pig is on page 1 of the templates and the wolf is on page 2. All of these activities help strengthen kids’ storytelling skills, language development, social skills, and comprehension while having fun!